Stuff your stockings with these Christmas picks! 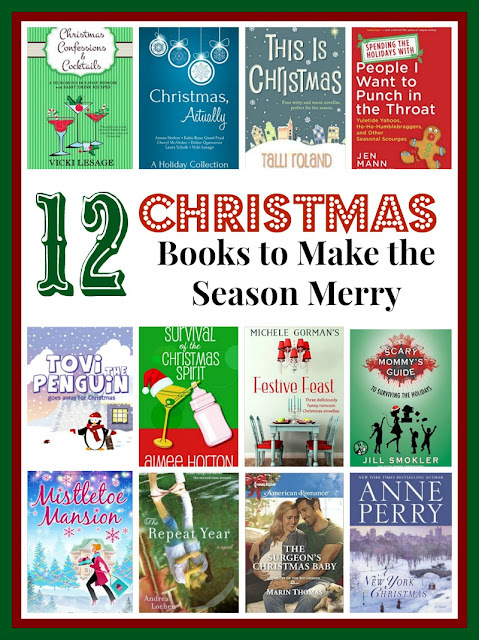 Make your season merry with some of our favorite holiday-themed books! American-turned-Parisian Vicki tells it like it is, from her crazy Christmases growing up in the Midwest to her even crazier holidays in her new home in France. Bizarre gifts, stomach-turning food, and holiday travel disasters are just some of the tales you'll chuckle at in this installment of the Paris Confessions series. You never know how Christmas will turn out! Festive and fun, or dreary and dull? While the holidays are magical for some, they are somber for others. 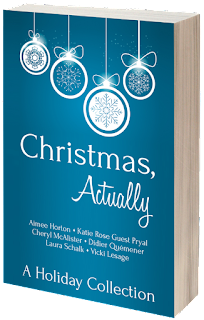 Christmas, Actually is a holiday collection that runs the gamut of seasonal emotions: humor, hope, joy, confusion, excitement. Curl up next to the fire, and laugh, cry and dream along with the characters in this collection of holiday tales. Christmas past, Christmas present, and Christmas future... All play a part in Christmas, Actually. 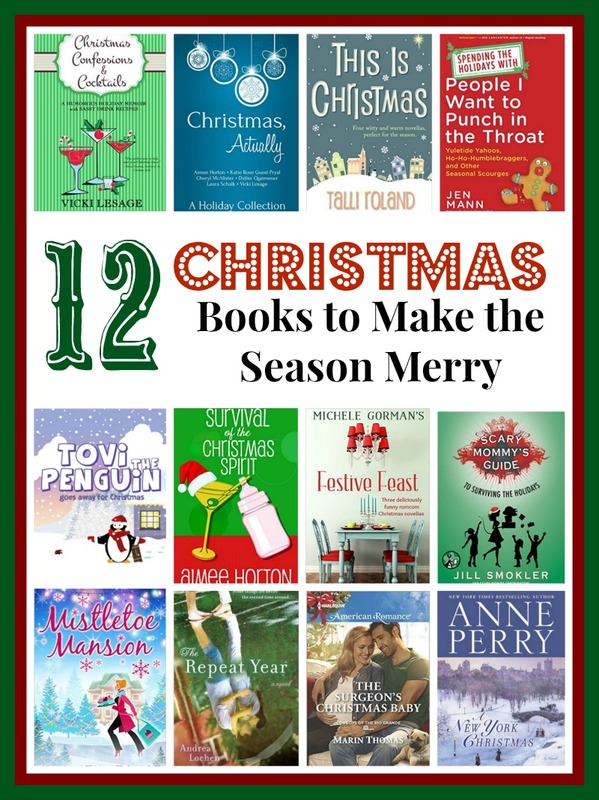 “Cooking for nineteen people will be a cinch!” Ever-optimistic Dottie Harris is preparing for the biggest and best Christmas celebration ever, and nothing—not even unexpected guests or running out of gin—will get her down. But as always, things don't run smoothly for Dottie, and it's not long before her two energetic children, hapless husband and a nasty stomach bug wreak havoc on her carefully planned spreadsheets. Can Dottie throw the perfect family Christmas (without so much as a swig of gin to help her through) or will preparing for the festivities get the best of her? One thing's for sure: This will be a Christmas to remember! When Kimmy’s Sensible Boyfriend told her he didn’t approve of her longing for the high life or her dream of starting a cupcake company Kimmy thought she could compromise – after all, she did return those five-inch Paris Hilton heels! But asking her to trade in cake-making for a job sorting potatoes is a step too far. Kimmy is finally living the life she’s always wanted. But will her glimpse into the glittering lifestyle of the rich and famous be as glamorous as she’s always imagined…? Anne Perry’s new Christmas novel is an irresistible tale of love, betrayal, greed, murder, and selfless devotion. For the first time, Perry’s annual yuletide offering is set in New York City—a sparkling young metropolis bursting with life, promise, and subtle menace. Once more, Anne Perry delivers a suspenseful, deeply moving novel that captures the essence of the holiday spirit. Four warm and witty Christmas novellas by bestselling author Talli Roland. Mistletoe in Manhattan: Holly will never forget this Christmas... even if she wants to. 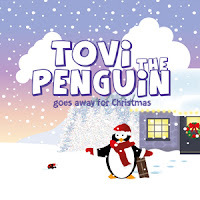 Last Christmas: Sometimes, the best Christmas present is forgetting the past. Miracle at the Museum of Broken Hearts: Does every relationship deserve a happy ending? Married by Midnight: Christmas is coming, and so is the biggest decision of Kate's life. As regular as that ugly jumper from your auntie and fights over the last mince pie, each year Michele's feel-good novellas have entertained us over Christmas, and now all three are available in a single collection! Great for the 2 to 6-year-old on your holiday list! In this hilariously irreverent collection of essays, Jen Mann, nationally bestselling author of People I Want to Punch in the Throat, turns her mordant wit on the holidays. On Mann’s naughty list: mothers who go way overboard with their Elf on the Shelf, overzealous carolers who can’t take a hint, and people who write their Christmas cards in the third person (“Joyce is enjoying Bunko. Yeah, Joyce, we know you wrote this letter.”). And on her nice list... well, she’s working on that one. Pick up one (or more!) of these books for your or for that special someone on your list! And Happy Holidays from Velvet Morning Press! VMP Celebrates Black Friday Early With this Great Deal! It's time to start the holiday shopping! And we've got the perfect gift for the reader in your life... CHRISTMAS, ACTUALLY, an anthology of holiday stories, is on sale for $0.99 today through Nov. 23. CHRISTMAS, ACTUALLY includes stories from six Velvet Morning Press authors. Love parenting humor? 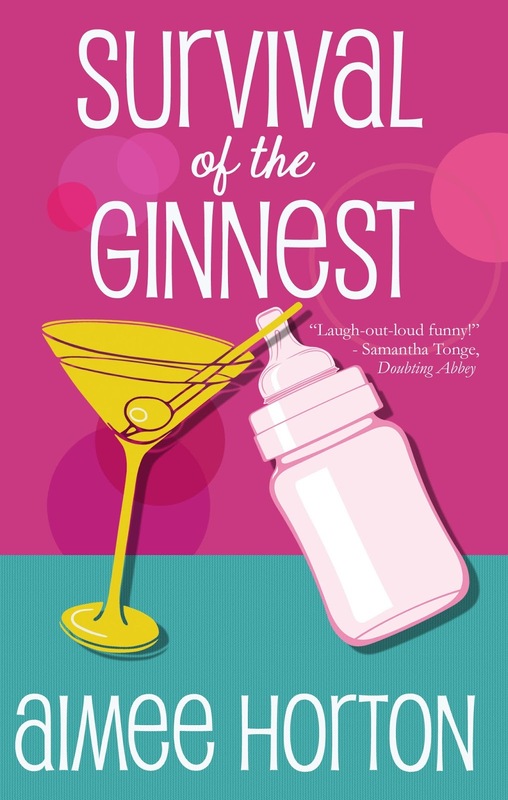 Well then you'll love Dottie Harris, the so-British mom whose life is filled with hilarious adventures. And you can meet her for just $0.99... on sale today through Nov. 20. Ready, set, go! 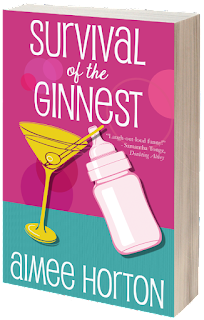 You have from 11 a.m. to 3 p.m. UK time today to pick up a print copy of SURVIVAL OF THE GINNEST by Aimee Horton for only £5.00 as part of an Amazon "Lightning Deal." 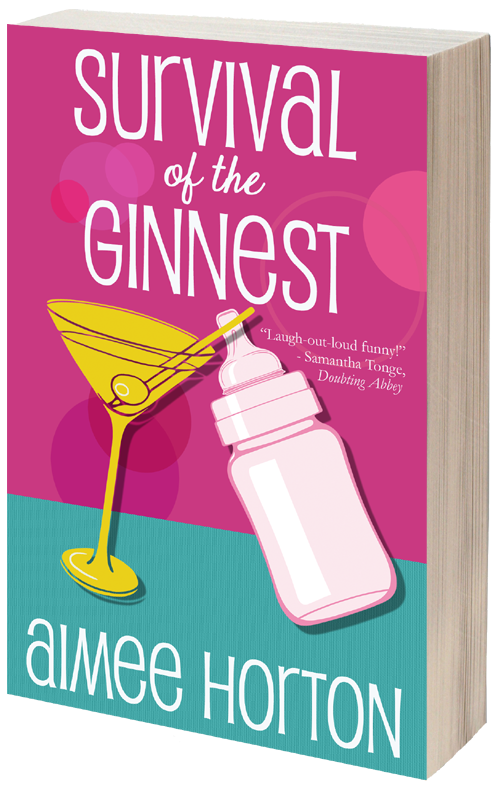 So don't wait a second longer to discover this hilarious book and its spunky heroine Dottie Harris! Meet Dottie Harris. She was living the self-indulgent lifestyle of every childless couple... and then she had kids. Struggling through pregnancy and motherhood, Dottie turns to social networking. She quickly becomes reliant on it, using it as a way to reach out to others and come to terms with the funny side of motherhood, whilst realising she’s not the only person to consider anything after 7 a.m. a lie in. Follow Dottie on her journey—made up entirely of Facebook-style updates—spanning four years of her sleep-deprived life. She bluntly shares her worries, insecurities, tears and tantrums, along with the things nobody ever tells you about motherhood! 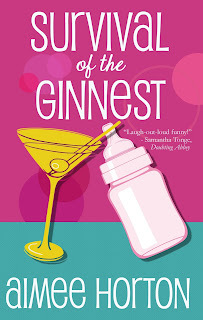 Full of humor and honesty, Dottie's modern-day diary gives a glimpse into motherhood as she trades in her social life for the sofa and a bottle of gin, watching her children grow older while she grows less enthusiastic. 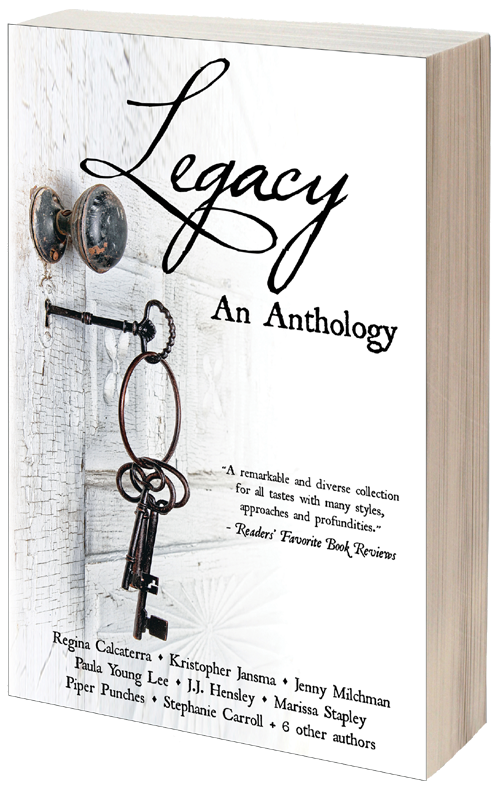 LEGACY: AN ANTHOLOGY features stories from New York Times best selling author Regina Calcaterra, Sherwood Anderson Award winner Kristopher Jansma and Canadian best selling author Marissa Stapley, along with 11 others. A rock 'n roll concert that will forever be etched in the minds of the fans who witnessed it. An adult orphan searching for a "forever home." 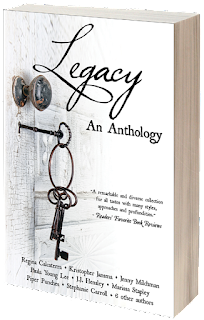 A survivor from World War II, on a journey to find one last memory of her mother. What do these stories have in common? They all answer the question: What will you leave behind? This chilling, stunning, eerie, and hopeful collection of fiction and nonfiction stories will stick with you long after you've finished reading it. 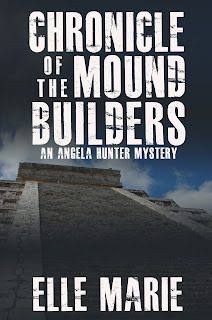 Archaeologist Dr. Angela Hunter discovers an ancient codex at a Mississippian Indian dig site. 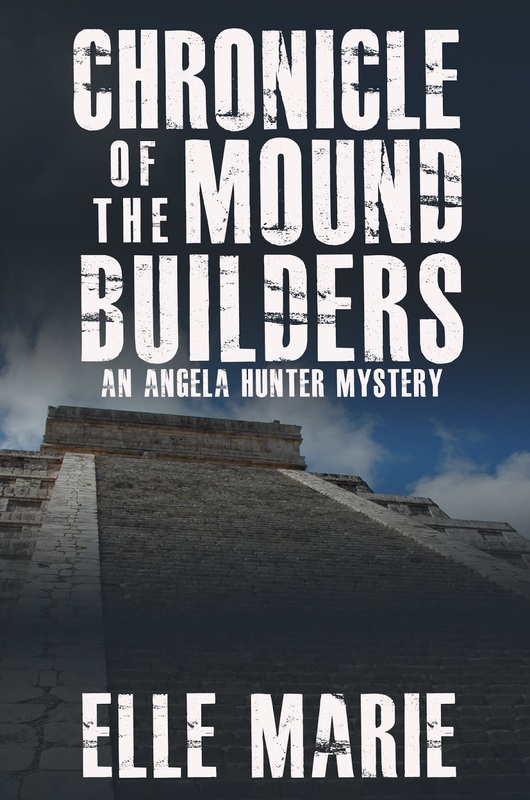 Knowing these Native Americans, the Mound Builders, had no written language, she is eager to solve the mystery of the 700-year-old, perfectly preserved artifact. Angela races to translate the Aztec pictograms but other forces want the codex and will do anything to get it. Can she uncover the secrets of the chronicle before the tragic events of the past are repeated today?